Easy job first. 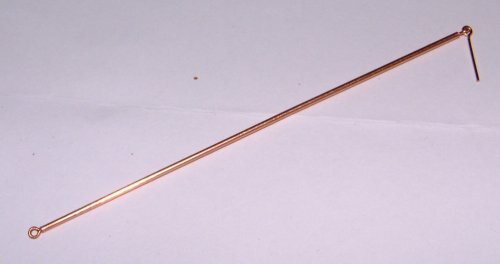 Straighten the copper tube (if necessary) and cut it to length. Then glue two eyes, one in each end, making sure that they are at 90 degrees to each other. Twist a third eye to open it, put it in place, and twist the eye shut again. 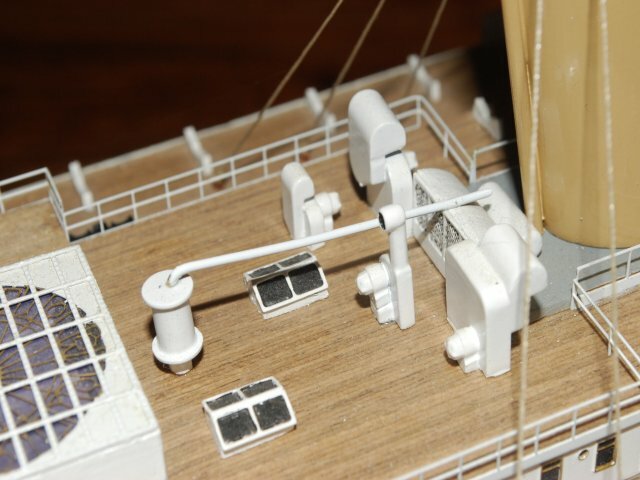 The masts were completed pretty much as per the instructions and painted white. 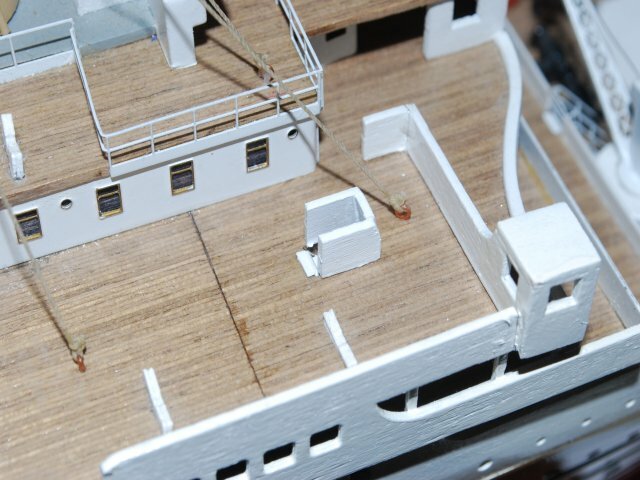 Use light coats of paint on the boom to avoid gumming up the eyes. These were a little more challenging. 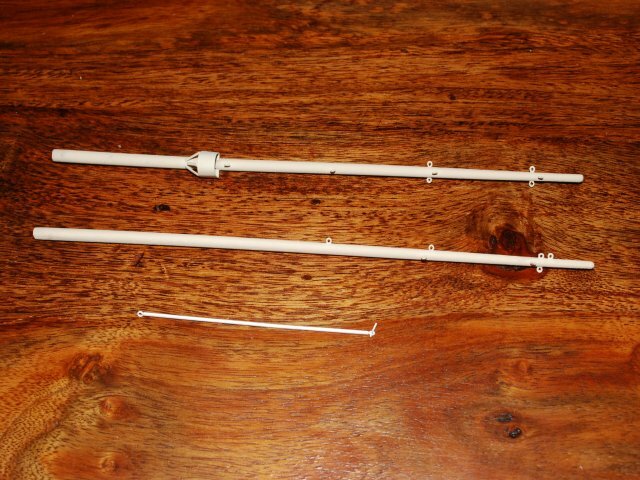 The syphon tubes are straight forward. Just bend the end and cut to length. The fine tubes were cut slightly over length and then glued side by side with super glue. Then the ends were splayed out and cut to the exact length. 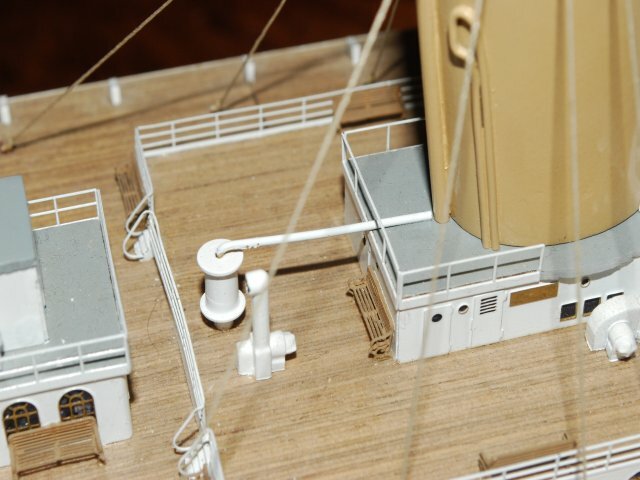 Note that the starboard tubes needed a bend to go over the bottom of the handrail. The barrels (or whatever they are really called) had small holes drilled in the top so the pipes fitted moire securely. 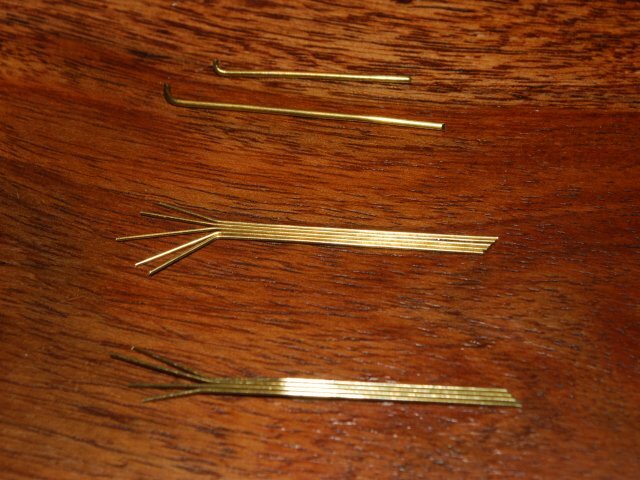 They actually came unglued, so I drilled a hole in the bottom and added a brass pin to make them more secure. 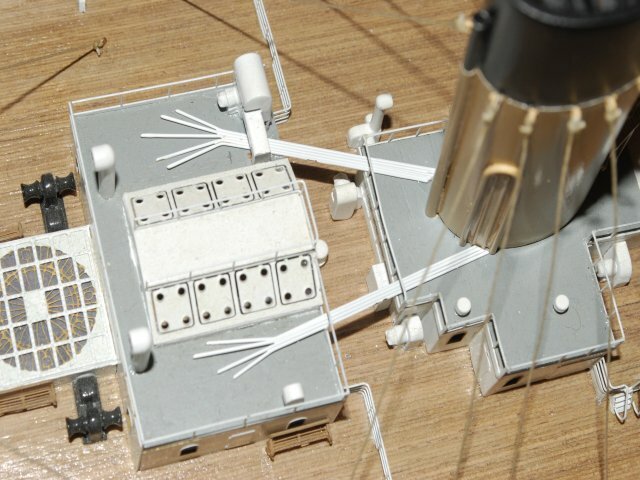 Here are the thin pipes fitted. They are just super glued to the deck. I also decided to fit these companion ways. I can't remember when they were supposed to be fitted, but now seems a good time. 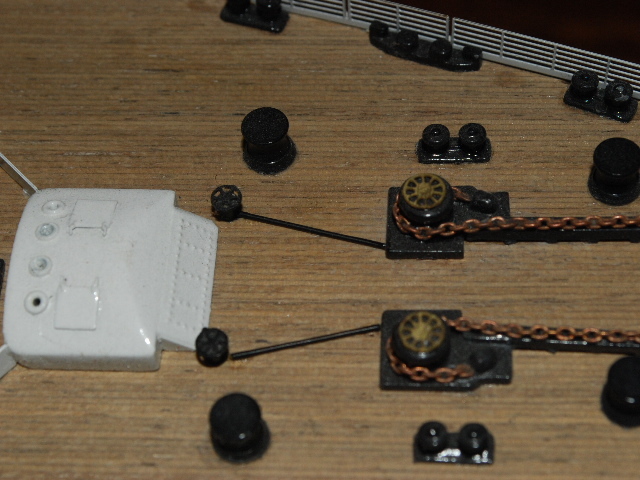 Finally, I added the steam pipes for the windlasses. These were simply painted black and glued in place with tiny touches of super glue. When opening an eye, twist it to one side rather than enlarging the hole. This makes it much easier to close neatly.